CMPS manufactures pharmaceuticals and neutraceuticals under the strictest quality standards and complies with international manufacturing and health requirements of PIC/S countries. The latest technology is being used from raw material testing at a fully equipped lab, to manufacturing & packaging. All the OTC products of Alaris Lanka are manufactured and packed in the manufacturing plant/s in Australia. The production process & packaging takes palce completely under WHO (World Health Organization) rules and regulations. Therefore the manufacturing plant has been awarded with the TGA (Therapeutic Goods Administration) certificate. 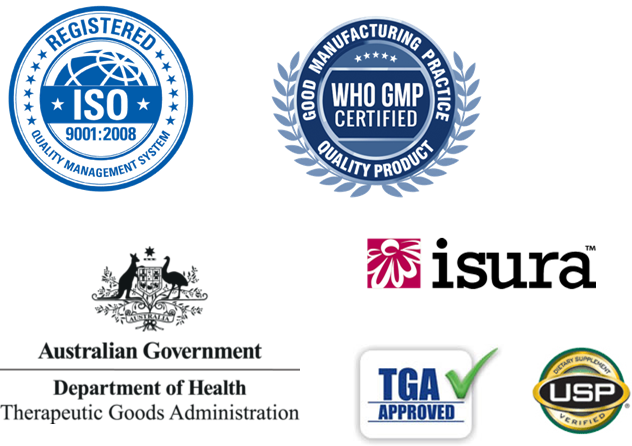 In addition to this all the oral products like Facia Triple Action Capsule, GTrim, Sure Slim, Tribull & Maxdura have been awarded with the TGA certificate along with many other internationally recognized quality certificates. Most importantly all the above oral products have been registered by the Ayurveda Department of Sri Lanka and carries a certificate confirming these products are made of 100% natural ingredients, cause no side effects and also authorizing purchase and intake without the prescription of a doctor.